As a school we ensure that every child feels safe whilst they are with us. We also endeavour to provide information about safety, which will support our students in their every day life. The school council runs an ‘I Am Me’ campaign to help promote a safe school environment. This page will contain information on how you can stay safe online. I will be adding information for both Parents and Students to this page. If you are concerned about any aspect of using the internet or mobile communication please come and talk to me. The school provides numerous opportunities for students to enjoy their learning and achieve in their specialist area. Successes on the sports field are numerous, musical performances and drama productions can all be viewed by navigating to the department area on the website. The Prize Giving Ceremony for Years 11 and 13 will be at Sherborne Abbey on Saturday 15 September 2018. As a specialist Business and Enterprise school economic wellbeing is at the heart of our curriculum. 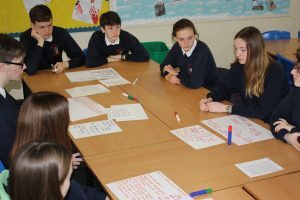 All students take part in enterprise activities through the year and the opportunity to enter competitions and take part in clubs are numerous. Students support many of the activities that run in the town including Rotary Club debates, Douzelage exchanges, musical performances to name but a few. 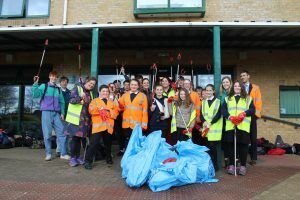 All students at The Gryphon volunteer within the town during their time at the school, this could be helping to prepare gardens for Sherborne in Bloom, helping at the local nature reserve, paining fences at the nursery, installing computers at a local residential home., the list is endless. This is an opportunity which students really enjoy and helps them to give something back to the town that the school is based in.